Need to sell your house right now? Then WeBuyHousesBexar.com is the company for you. We are based in San Antonio, Texas. We help homeowners who want to sell their home fast, for quick cash. 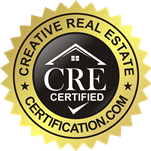 Our team is comprised of the top real estate investing experts in the area. We know the in’s and out’s of the market better than any other home buying business in San Antonio. We can get you more cash for your property than any other company in the area. If you want to sell your house fast, for all-cash, and close at a date of your choosing, then we are the ones for you. We take pride in our customer service, and will keep you informed EVERY step of the way! Fill out the Fast Cash Offer form on our website, or give us a call at 210-381-2977 today for more information.